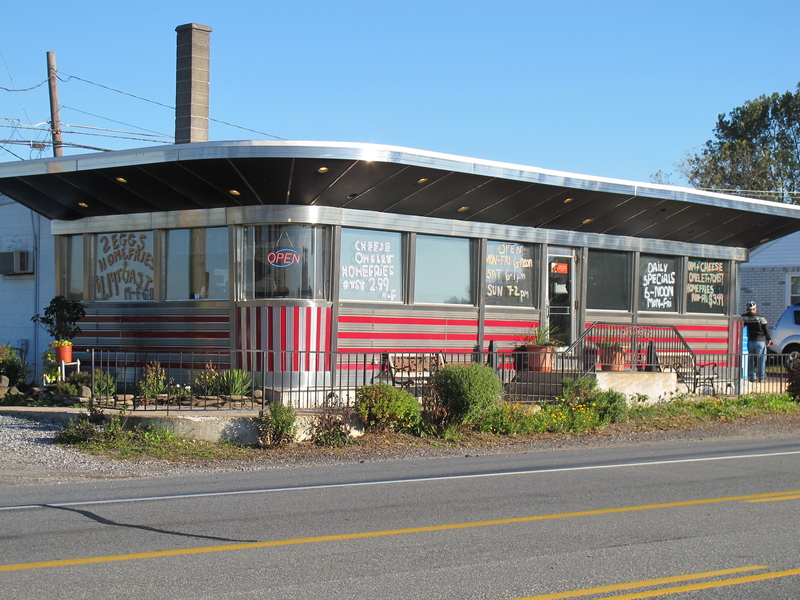 Yesterday I stopped for a slightly hung-over breakfast at the small rail car Prospect Diner near Columbia, PA. It was my first visit but surely not the last. Highly recommended for motorcyclists. When I arrived at 0845 the joint was packed and getting busier. The parking lot is small and gravel, so bring a side stand plate. According to my diner reference book, the Prospect is a 1955 Kullman unit. 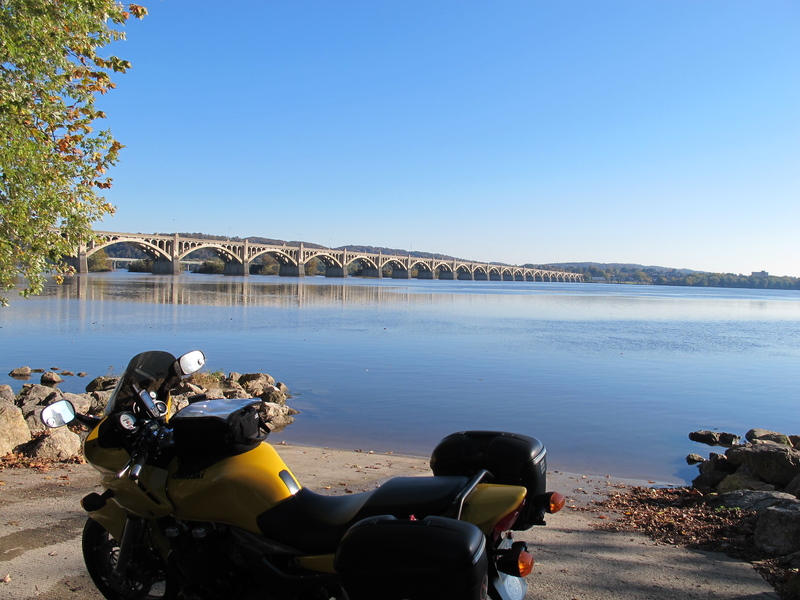 After uploading breakfast, I continued west over the historic Wrightsville Bridge, after which I headed generally south thru PA on twisty routes 624, 525 and 851, then into MD on 24 thru scenic Rocks S.P. before turning east back to DE. That bridge is a real beauty! And thanks for sharing some routes. I know zero about PA riding. Gonna file those away.